You were destined for greatness. That doesn’t necessarily mean you’ll have significant power over masses of people or that you’ll have riches untold. The greatness Kent Ingle talks about is more valuable than power, position, or prestige. It’s about living a life of significance and meaning. You only discover your greatness when you accept the call to adventure. In doing so, new things will happen for you. You’ll need to let go of what may be comfortable in preparation for the journey. You’ll need to consider new options as you explore new territory. You’ll need to take steps forward in faith as you live your divine design. You can decide to become all God created you to be. Also available in Spanish, Esta aventura llamada vida. Kent Ingle is the president of Southeastern University. Previously, he served as the dean of the College of Ministry at Northwest University in Kirkland, Washington. He has also served eight years as a college professor and fifteen years as a pastor. Prior to entering professional ministry, Kent spent ten years as a television sports anchor for NBC and CBS. Kent holds an MTS from Vanguard University and a DMin from the Assemblies of God Theological Seminary. 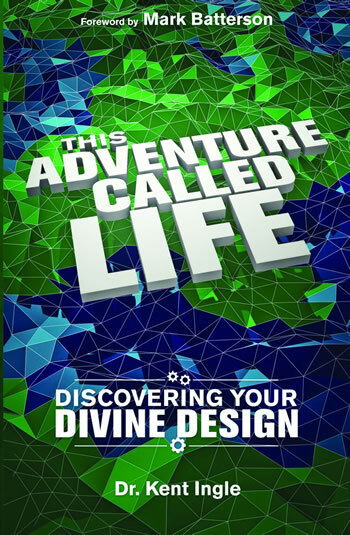 He is the author of This Adventure Called Life, 9 Disciplines of Enduring Leadership, and Framework Leadership. Kent and his wife, Karen, reside in Lakeland, Florida.